INDIANAPOLIS — Corteva Agriscience™, Agriculture Division of DowDuPont, announced it has received federal approval from the U.S. Environmental Protection Agency for the use of Aproach® Prima fungicide in peanuts in all states except California. With two modes of action, Aproach® Prima offers peanut growers improved disease management, resulting in better crop quality and greater yield potential. Aproach® Prima is also currently labeled in corn, soybeans and wheat, providing growers with increased crop flexibility. “Aproach Prima has proven performance as an excellent fungicide in corn and soybeans,” said Dame. By expanding the crops protected by Aproach Prima, growers will now also have an effective option managing early leaf spot (Cercospora arachidicola), late leaf spot (Cercosporidium personatum), rust (Puccinia arachidis) and web blotch (Phoma arachidicola) in peanuts. 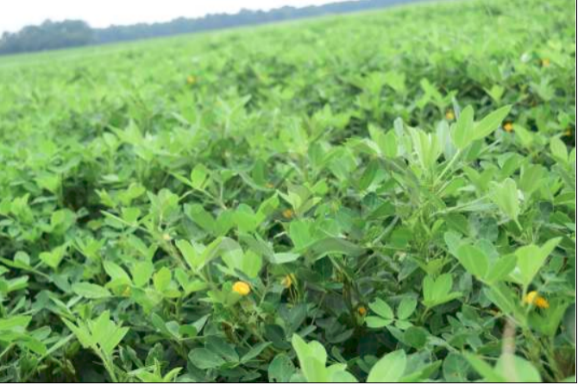 Peanut growers can now rely on Aproach® Prima fungicide to protect their crop from diseases. ™®Corteva Agriscience, the Corteva Agriscience Logo, Aproach, Brevant, DuPont, Encirca, and Pioneer are trademarks of Dow AgroSciences, DuPont or Pioneer, and their affiliated companies or their respective owners. Aproach Prima may not be registered for sale or use in all states. Contact your state pesticide regulatory agency to determine if a product is registered for sale or use in your state. Contact your local Corteva Agriscience sales representative for details and availability. Always refer to the product labels for complete details and directions for use.